Erendira Wallenda, the aerialist wife of daredevil Nik Wallenda, successfully hung by her teeth from a helicopter over Niagara Falls on Thursday, pulling off the stunt five years to the day her husband walked a tight rope over the falls. The 36-year-old mother of three was tethered to a hoop suspended from a helicopter 300 feet (91 meters) above the water. After performing a few acrobatic maneuvers, she briefly hung twice by her teeth with the use of a mouth guard in between hanging upside-down by her toes for a few seconds. The Wallendas said the stunt broke a height record Nik Wallenda set in 2011 when he hung by his teeth 250 feet (76 meters) above Silver Dollar City in Branson, Missouri. 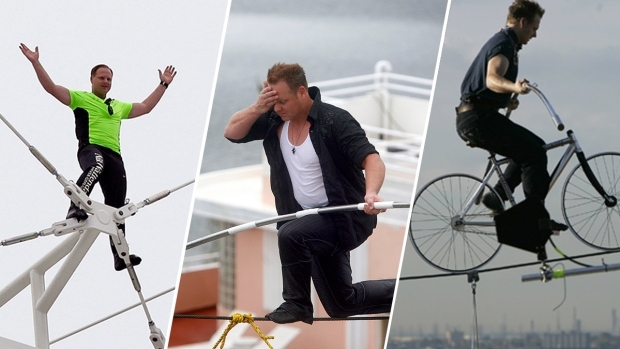 Erendira Wallenda said she was caught off guard by the windy conditions above the cataracts, something her husband had to deal with during his 2012 stunt. But she said in the post-stunt news conference that the experience was "beautiful and amazing." 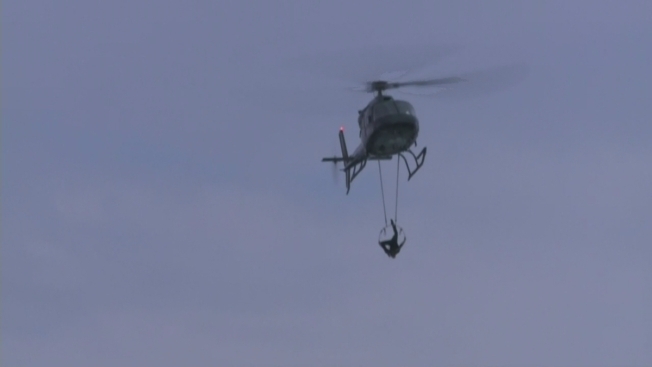 The aerialist spent about eight minutes of the 10-minute stunt hovering over the falls after the helicopter took off from the parking lot roof of the nearby Seneca Niagara casino. Only a few dozen people viewed the stunt from the ground on the American side of the falls, compared to the tens of thousands who gathered on the U.S. and Canadian sides for Nik Wallenda's televised high-wire walk over Niagara Falls.